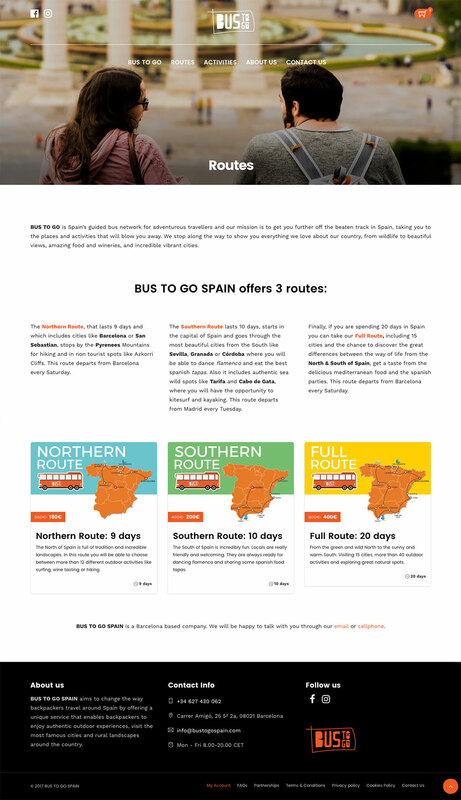 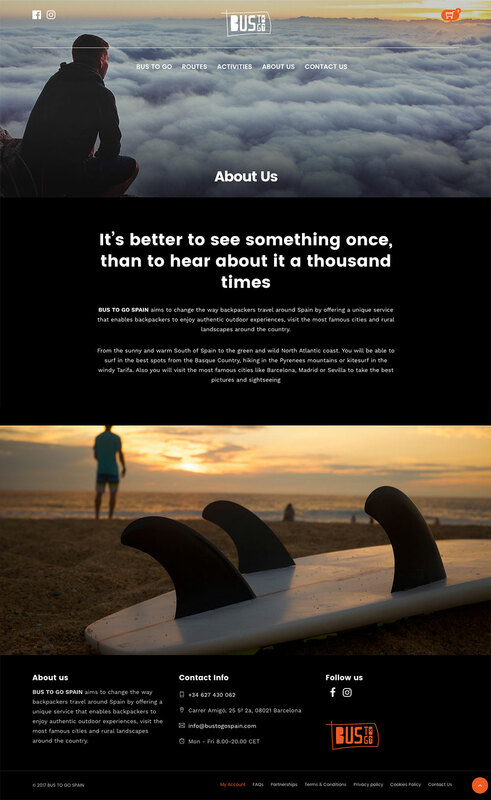 Design and web development for the travel agency BUS TO GO SPAIN. 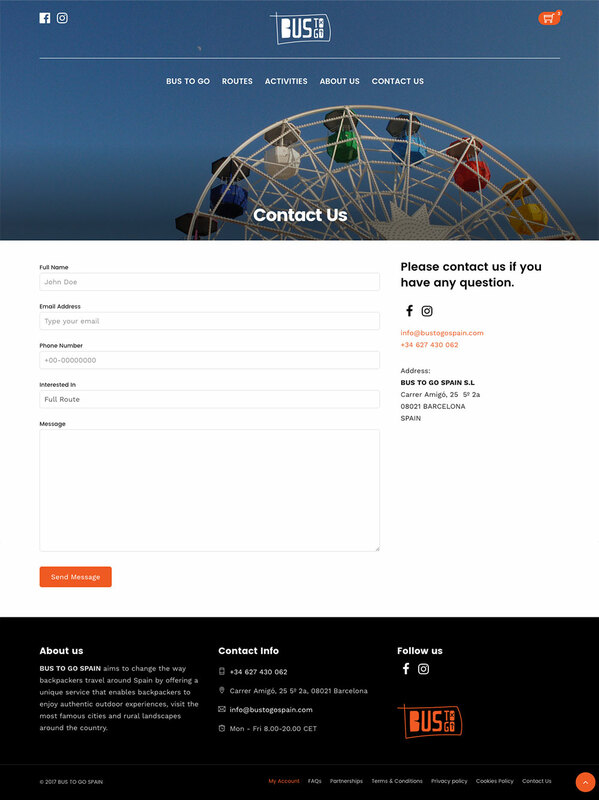 It includes a management system and payment of booking for the routes they offer. 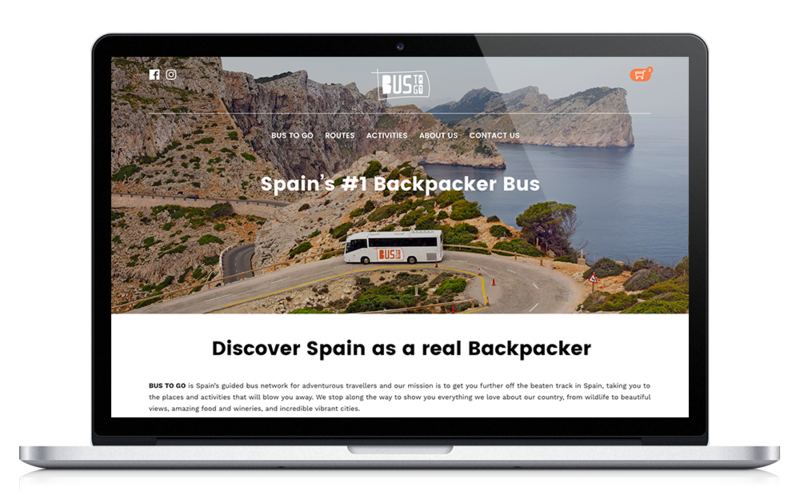 BUS TO GO SPAIN aims to change the way backpackers travel around Spain by offering a unique service that enables backpackers to enjoy authentic outdoor experiences, visit the most famous cities and rural landscapes around the country.